This makes a great centerpiece on your Easter table. Directions: Buy Peeps to match your flowers. 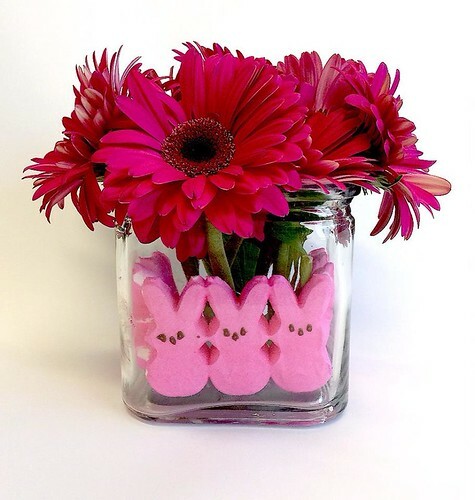 Line your vase with Peeps and then place flowers in vase. Do not put water in the vase as the Peeps will begin to float to top. Wow your guests with a festive dessert. 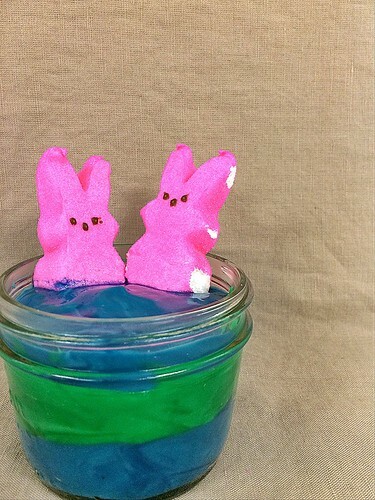 Directions: Layer dyed pudding in a cup and then place floating peeps on top. Celebrate flowers blooming and Peeps peeping with a fun spring greeting. 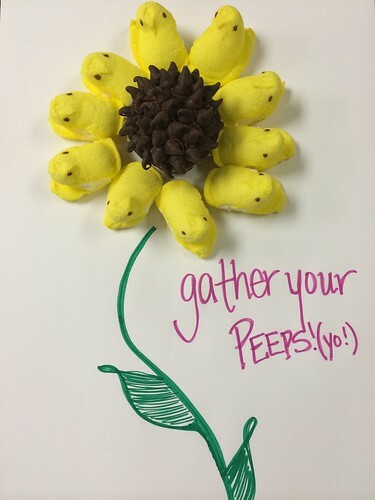 Directions: Use Peeps to create a spring theme on white paper. (We used a chocolate chip cupcake to turn our Peeps into a sunflower). Take a picture and make your message into a spring greeting card or post the fun message to your social media accounts. 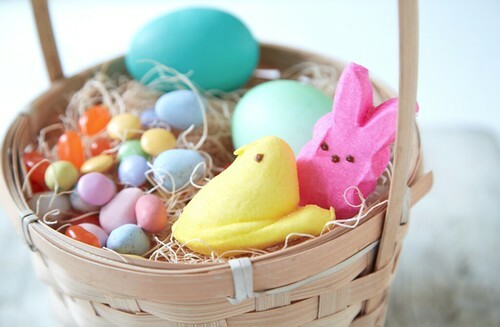 Sweeten up your Easter baskets with Peeps. Directions: Remove Peeps from package and get creative with decorating your Easter baskets.